Each contractor must include in its program a nutrition component that ensures that the children have nutritious meals & snacks. Meals & snacks must be culturally & developmentally appropriate for the children being served. Must meet the nutritional requirements specified by the child care food program. U.S. Department of Agriculture CACFP regulations mandate that each agency participating in the program make sure that at least one person with CACFP administrative responsibilities complete this California Department of Education (CDE) training each year. CACFP provides aid to child care facilities & homes for the provision of nutritious foods that contribute to the wellness, healthy growth, & development of young children. The infant meal pattern supports breastfeeding, developmentally appropriate meals & nutritious meals. The child meal patterns ensure children have access to healthy, balanced meals throughout the day with the focus on providing a greater variety of vegetables & fruit, whole grains & less added sugar & saturated fat. There must be a confidential alert system in place to ensure anyone serving food is aware of any child that may have a food allergy. Meal & snack times provide great opportunities for teachable moments such as learning about nutrition, trying something new, table manners & sharing. They are also a perfect time to develop & practice conversation skills. Teachers may use the Meal Talk Handout developed by Head Start Center for Inclusion as a tool to spur & support conversation between children during mealtimes. The California Department of Education administrators CACFP. 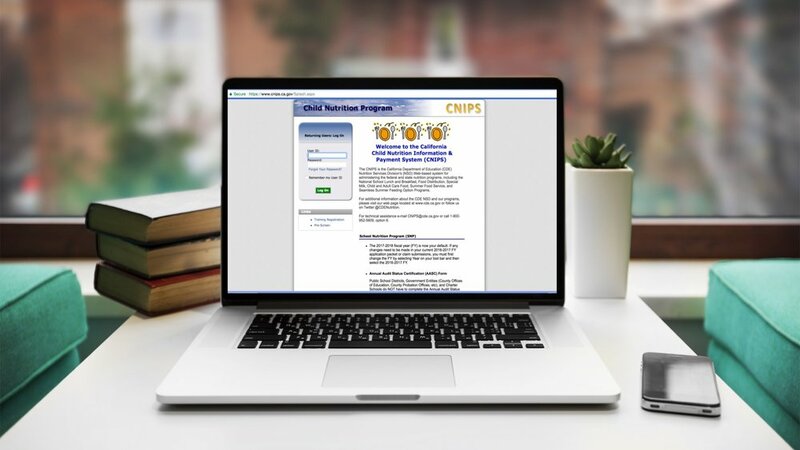 Once approved to participate, each sponsor must submit a monthly Claim for Reimbursement via the Child Nutrition Information & Payment System (CNIPS) in order to receive payment for meals served. We encourage staff preparing meals being served to take the online courses available through the Institute of Child Nutrition. Both the infant & child courses are approximately 4 hours each.